UDM Downloads > KARIBINO Dominoes Plus! Discover a realistic and strategic universe in one click! Available in several languages, Karibino Dominoes Plus is a challenging collection of 20 domino games on PC. Enter a realistic environment and discover the atmosphere of real domino matches thanks to a large choice of available players! Players are able to use their own tactics and speak with their true voices. The collection also has a CD player and a variety of audio files so you can make your own music selections. With a number of different settings offered, you can play dominoes anywhere, any time! Moreover the game offers a detailed guide, it is easy to play using your mouse and you can access advanced playing tactics suggested by expert domino players! 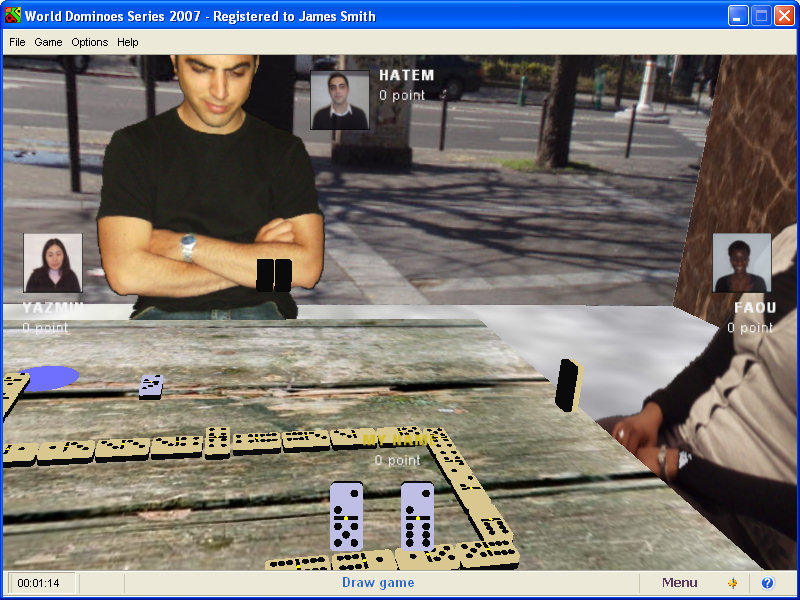 Karibino Dominoes is also a dynamic community of players on the Internet with regularly organized on-line competitions. Thus the on-line version allows you to play against opponents from all over the world. With a range of rules from All Fives to Chicken Foot through to the famous Block Game, this entirely 3D collection of dominoes provides real entertainment for players of all ages. If you thought dominoes was too simple and boring, you were wrong! You will change your mind and have fun with Karibino Dominoes Plus 2007!